Some listeners were impressed with the performance of last weekend’s surprise mode: MT63-1000 long interleave, especially as it was mixed with music. 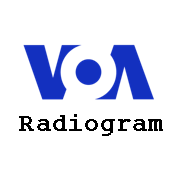 For that reason, VOA Radiogram for the weekend of 20-21 July will include a VOA News story in the MT63-2000L mode (200 wpm), followed by the same story in the MFSK64 mode (240 wpm). The audio processor will not be used this weekend. This entry was posted in Broadcasters, Digital Modes, What's On Shortwave and tagged Digital Message, Radiograms, VOA, VOA Radiogram on July 20, 2013 by Thomas.